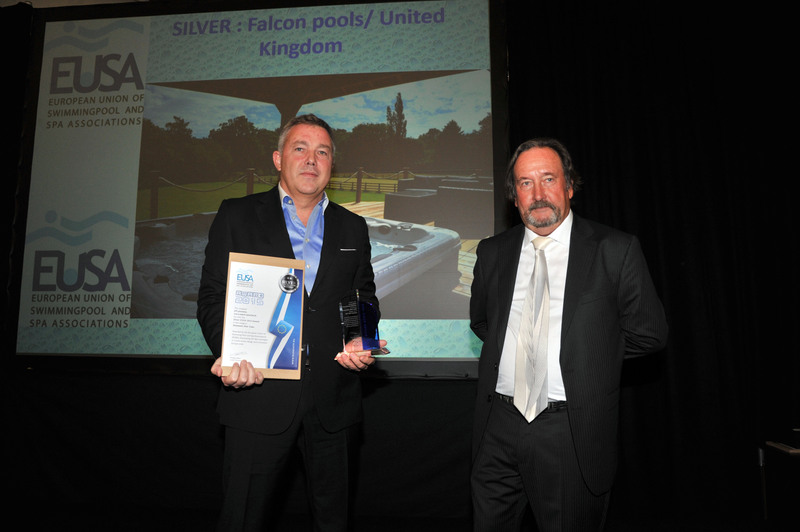 Falcon Pools are pleased to announce that we have won a Silver Award at the recent European Union of Swimming Pool and Spa Associations (EUSA) Awards! 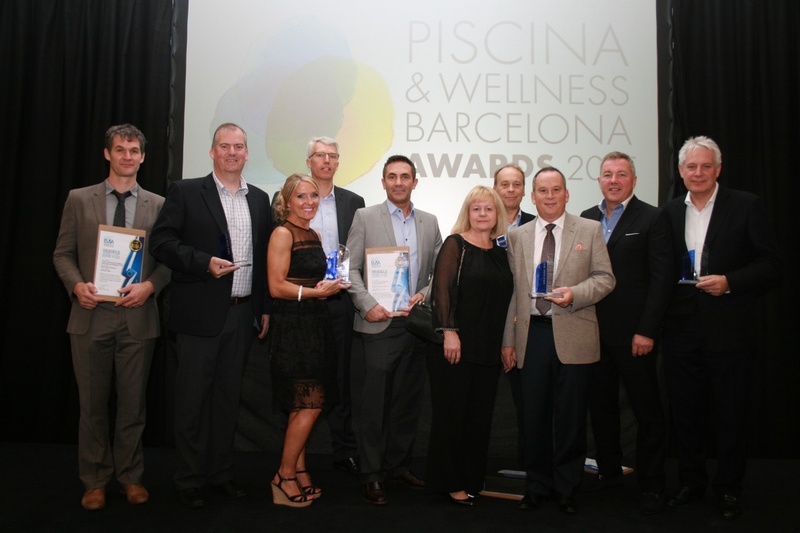 The third European Pool & Spa Awards hosted by the EUSA took place at the Piscina & Wellness exhibition in Barcelona on the 14th October, a rather fitting location. Having earned the right to gain entry from winning a previous award in the UK, we picked up a Silver Award in the Domestic Hot Tubs category (see the winning hot tub below!). We were absolutely delighted to be recognised with an award. It’s a real testament to all the hard work from our team. Here at Falcon Pools, we’re confident that the pools and hot tubs we build are at an incredibly high standard, so this award is a great acknowledgement of our work. This is, in fact, the second award that this hot tub has picked up in quick succession. The very same installation picked up a gold award at the British Pool & Hot Tubs Awards earlier this year! The judges felt the design made great use of the client’s garden through careful positioning and planning. The awards have five categories, with fourteen winners announced across the thirteen countries that make up the EUSA. 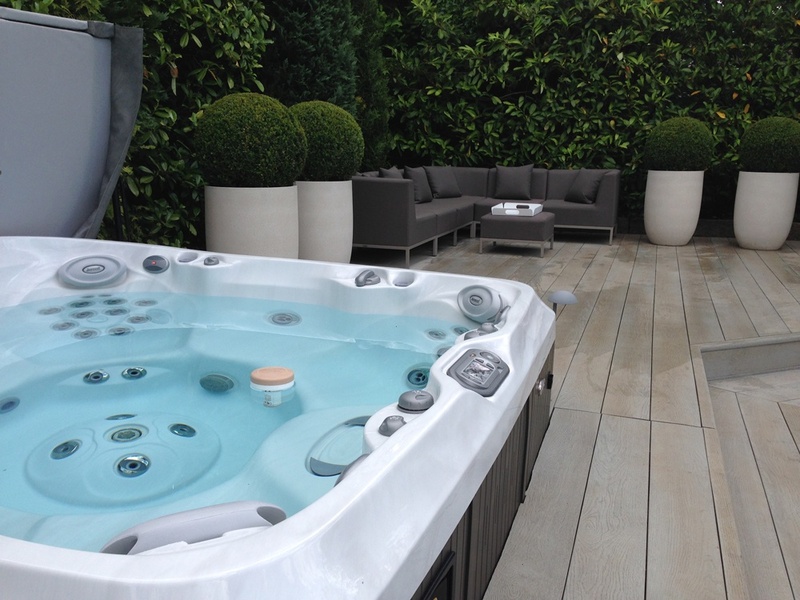 Representing over 3,000 swimming pool and spa companies across Europe, competition was fierce, with some exceptional examples of modern swimming pools and hot tubs being showcased. The awards are judged by top industry professionals, representing EUSA members. With such high standards and so much competition, winning an award is a serious show of recognition. Well done to all of you. It must be so satisfying to get an award after all your hard work.